I have sculpted for over 30 years. For me, sculpture is visual poetry, form imbued with meaning. Each line of a poem adds to the power of the whole, making us gasp with recognition and understanding of some greater truth. In the same way, each sculptural line builds a form that extends beyond the piece and, at its best, says something we instinctively know about the human condition or the universe. Art reminds us what a wonderful and diverse world we live in. It opens the mind, nudges the imagination and lifts us from day-to-day thoughts and constraints. In my sculpture I seek to evoke exactly these responses. My work is to be touched, with both the eyes and the fingers, but above all to be felt at the root of our emotions. 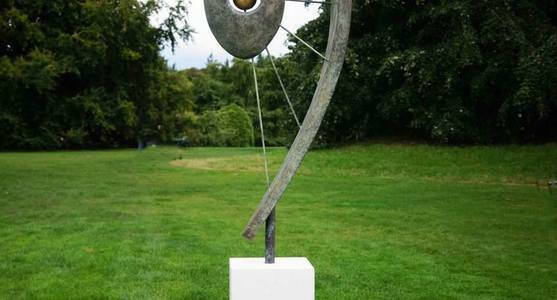 There is no more powerful statement of the interpretive role of the artist than Barbara Hepworth’s: “I, the sculptor, am the landscape, the hollow, the thrust and the form.” Over the years I have explored both figurative and abstract forms, as well as the intersection between the two. I create in whatever medium is appropriate to the idea - sometimes modelling in clay, wax or plaster; and sometimes carving directly in wood. The idea can come quickly, the realisation slowly and patiently - and the casting into bronze and patination then a further careful process-driven element of the creation. Every stage is equally important, and the finished form is a combination of emotional and physical investment, of love and care and passion that is both a struggle and a joy. The ideas I express in my work have been developed through personal experience in different stages of life. My skills were developed through study at London’s Art Academy (formerly The Sculpture Academy), Central St Martins School of Art and elsewhere. Working largely in bronze and wood, I have my studio close to London’s South Bank. 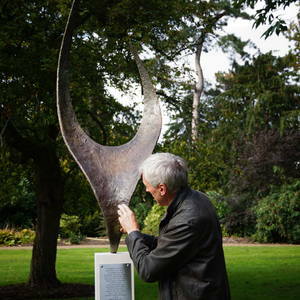 I have also written about the many sculptures to be found along the South Bank’s river walk. My work is held in private collections in the UK, France and Belgium.